We’ve just left two weeks of Spring break behind us. Well, it wasn’t so much a break as quiet work-time to catch up for most of us here, and part one of the final Certificate exam is being written today. The programs are pretty intense, and if you do get behind even for one or two days, the work piles up incredibly quickly. Students all work very long hours for the duration of the programs, and as an administrator as well as instructor, my job doesn’t end at the close of class either. It usually runs late into the evenings and into weekends replying to emails and keeping up with necessary paperwork. It didn’t get any easier when Ecole Holt Couture became a designated Private Vocational Training institution licensed by the Alberta government of Advanced Innovation and Education department. We often get questions about EHC’s programs and the equivalency of its certificate awards to other degrees. So here it goes. Both Ecole Holt Couture programs are recognized by the Advanced Innovation and Advanced Education government department of Alberta, Canada. EHC’s Dressmaking Certificate program is designed for self directed employment as well as the prerequisite program to enter the EHC Couturier/Tailoring Diploma program. The Diploma program is designed for self directed employment or free lance work, as well as entry level positions for apprenticeships. As such, there is no equivalent to our Certificate and Diploma programs. The entire curriculum is unique and original, written by the Founder, based on her education and 60 plus years of professional experience in the trade of couture and tailoring in Europe and Canada. The reason that Ecole Holt Couture was established and its sole existence is to preserve and pass on traditional practical skills with its related professional technical knowledge not currently being taught in fashion or design institutions. As we’ve ventured to more modern approaches, focusing on off-shore manufacturing and marketing, the nature of educational programs have evolved to meet the demands of the fashion industry. What is being left out is formalized training in couture and tailoring. Expert mentoring, the transference of knowledge and sharing of experience, not least of which is teaching the fundamental skills for a couture and tailoring career alternative – not typically included in the ‘industry’ statistics today. As the committee is now starting to review applications for 2015, it may be helpful to know what is expected of students at Ecole Holt Couture School of Couture Sewing and Design. One of the first questions that instructors of fashion programs in high school put to us in regard to recommending various fashion schools to their own students is what grade standing is expected of an EHC student. It comes as a bit of a surprise to most that EHC expects at least an 80% (B-) level of success which is assessed every three months for every student attending the program to continue. And not only is the skills mastery assessed, but also students’ level of professionalism and responsibility, as each one is extremely important in the business of couture and tailoring. So that each student receives the best training possible, they must successfully achieve every step (or learning module) along the way, before being allowed to continue along with their class mates. It may sound overwhelming, and it certainly challenges every new student during the first few months. History has shown that only about 50% of students find their pace and rhythm to continue in the program after the initial 10 to 15 weeks of the program. 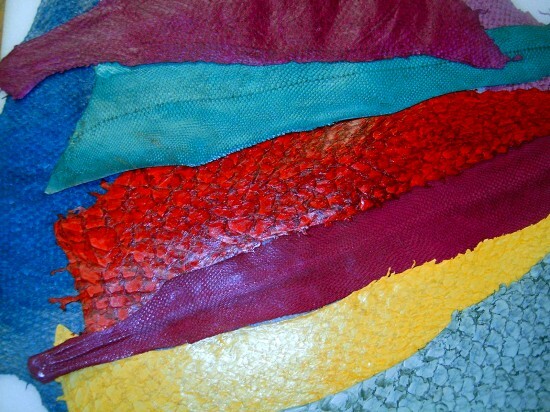 Ecole Holt Couture is continually reviewing what filters need to be in place for selecting suitable applicants for its programs, so that the success rate for enrolled students is nearer 100%. EHC is as much interested in matching skills, dedication and passion levels most suitable for its programs, as each potential student wishes to choose a program best suited for their own needs and goals. For this reason, the application process has become much more in depth since the opening of the school in 2007. Also, some things that EHC has found to be common to those creative individuals that have successfully completed the programs, although not absolute, lists very good indicators. What is your score on the above? A high score doesn’t automatically assure you have what it takes, nor does a low score necessarily mean failure, but it does help to know what you are best suited for in terms of learning and expected outcomes. What is couture and haute couture all about really? 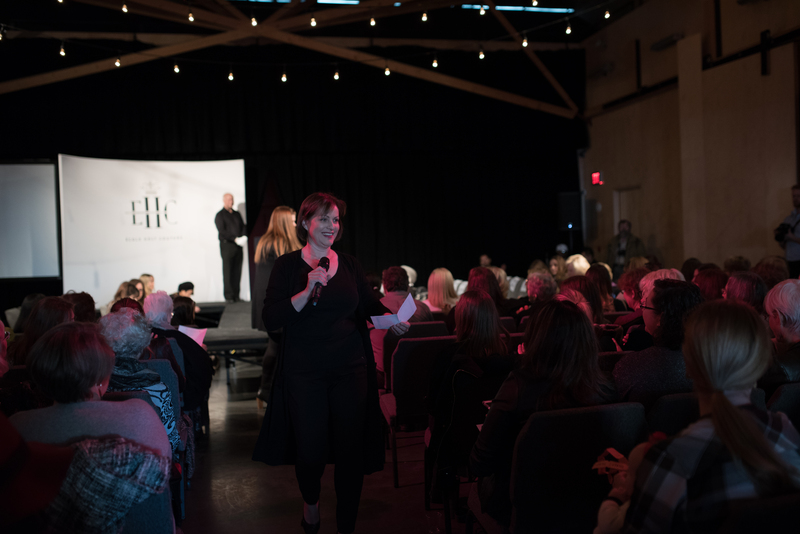 We love addressing this question, and try to share as much insight as we have time for during the couture runway show at Ecole Holt Couture’s annual fashion event. 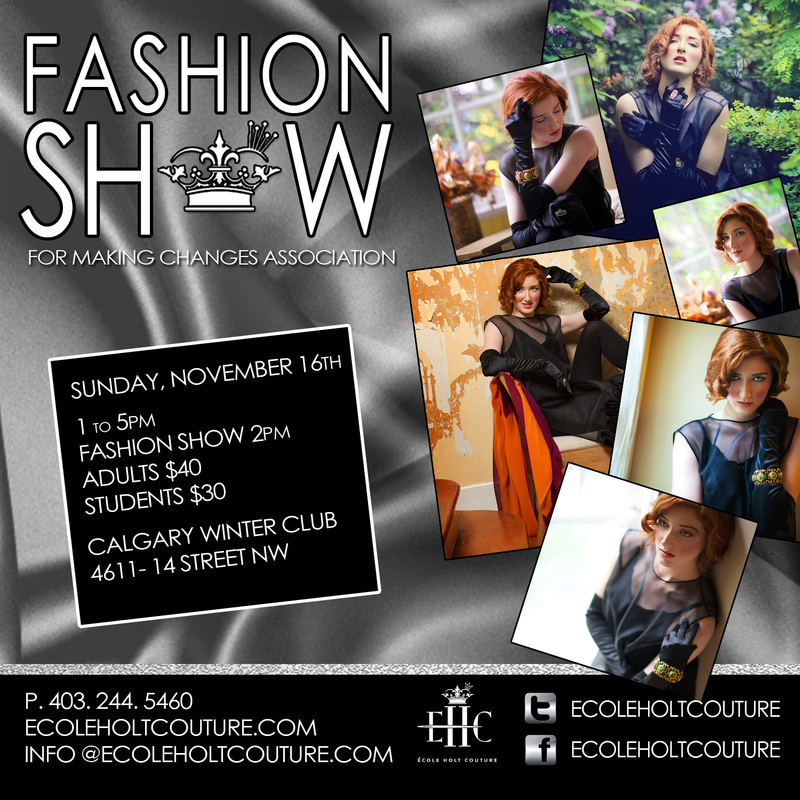 Now in the middle of preparing for its annual fashion event fundraiser for Making Changes Association Calgary, according to the event website, there is one month and 10 days left to Sunday, November 16th show time. We began planning this next event the day following the last one, and set this date last November to secure the venue for 2014. Right after, we debriefed to identify the successes and malfunctions while everything was fresh in our minds, which then determined the changes in structure for this year. Our themed photo shoot for the posters and banners took place three months ago. 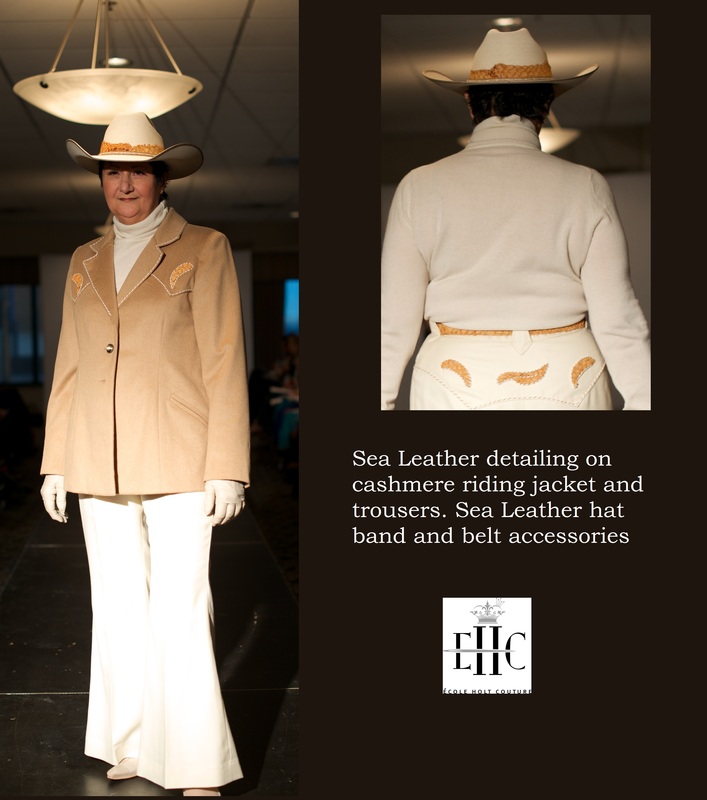 The EHC fashion event website is active, and tickets available for sale. As we sat around the table with our students, we noted some brilliant ideas for next year’s event while we brainstormed ideas to promote this show. You might say that it would be a bit of challenge to keep track of last year, our current year and next year’s plans, while we are so focused on the present school term, and you would be entirely correct. This is entirely an extra-curricular activity. We depend on our community partners and volunteers to pull this event off every year, hoping that everyone had a positive experience and offers to help out again. If it were not for the countless individuals who are incredibly supportive, and the great number of volunteer hours, we would not be able to continue the event each year. As a matter of principle, we do compensate professional services we receive, and appreciate that those services might perhaps be at a special rate for this cause. All the proceeds from the event are passed on to Making Changes Association. To say thank you to everyone is only a fraction of the gratitude we feel for your support, so we find it very easy to be appreciative to all of you, and thank you once more! If you would like to become involved with the fundraising event, or sponsor the event please have a look . We do promote our event sponsors through social media (Facebook and Twitter) and recognize special donations.